The project was first introduced by the prime minister on the 15th August 2015 while he was addressing the nation through his speech on the occasion of India’s 69th Independence Day. On 16th January 2016, the Government of India introduced the ‘Action Plan’ to meet the objectives of the ‘Startup India’ initiative. The Government hopes to accelerate the process of spreading the Startup India movement through this Action Plan. Compliance Regime based on Self-Certification – To reduce the regulatory burden on Startups thereby allowing them to focus on their core business and keep compliance cost low. Startup India Hub – To create a single point of contact for the entire Startup ecosystem and enable knowledge exchange and access to funding. Rolling out of Mobile App and Portal – To serve as the single platform for Startups for interacting with Government and Regulatory Institutions for all business needs and information exchange among various stakeholders. Legal Support and Fast-tracking Patent Examination at Lower Costs – To promote awareness and adoption of IPRs by Startups and facilitate them in protecting and commercialising the IPRs by providing access to high-quality Intellectual Property services and resources, including fast-track examination of patent applications and rebate in fees. Relaxed Norms of Public Procurement for Startups – To provide an equal platform to Startups (in the manufacturing sector) vis-à-vis the experienced entrepreneurs/ companies in public procurement. Faster Exit for Startups – To make it easier for Startups to wind up operations. Providing Funding Support through a Fund of Funds with a Corpus of INR 10,000 crore – To provide funding support for development and growth of innovation-driven enterprises. Credit Guarantee Fund for Startups – To catalyse entrepreneurship by providing credit to innovators across all sections of society. Tax Exemption on Capital Gains – To promote investments into Startups by mobilising the capital gains arising from the sale of capital assets. Tax Exemption to Startups for 3 years – To promote the growth of Startups and address working capital requirements. Tax Exemption on Investments above Fair Market Value – To encourage seed-capital investment in Startups. Organising Startup Fests for Showcasing Innovation and Providing a Collaboration Platform – To galvanise the Startup ecosystem and to provide national and international visibility to the Startup ecosystem in India. The launch of Atal Innovation Mission (AIM) with Self-Employment and Talent Utilisation (SETU) Program – To serve as a platform for the promotion of world-class Innovation Hubs, Grand Challenges, Startup businesses and other self-employment activities, particularly in technology-driven areas. Harnessing Private Sector Expertise for Incubator Setup – To ensure professional management of Government sponsored/funded incubators, Government will create a policy and framework for setting-up of incubators across the country in a public-private partnership. Building Innovation Centres at National Institutes – To propel successful innovation through augmentation of incubation and R&D efforts. Setting up of 7 New Research Parks Modelled on the Research Park Setup at IIT Madras – To propel successful innovation through incubation and joint R&D efforts between academia and industry. Promoting Startups in the Biotechnology Sector – To foster and facilitate bio-entrepreneurship. Launching of Innovation Focused Programs for Students – To foster a culture of innovation in the field of Science and Technology amongst students. Annual Incubator Grand Challenge – To support the creation of successful world class incubators in India. d) if it is working towards innovation, development or improvement of products or processes or services, or if it is a scalable business model with a high potential of employment generation or wealth creation. Provided that any such entity formed by splitting up or reconstruction of a business already in existence shall not be considered a ‘Startup’. Apart from the definition above, the procedure for being recognized as a Startup has also been revised. The process of recognition as a ‘Startup’ shall be through an online application made over the mobile app/ portal set up by the Department of Industrial Policy and Promotion. Entities will be required to submit the online application along with the Certificate of Incorporation/ Registration and other relevant details as may be sought. Startups also have to submit a write-up about the nature of business highlighting how is it working towards innovation, development or improvement of products or processes or services, or its scalability in terms of employment generation or wealth creation. 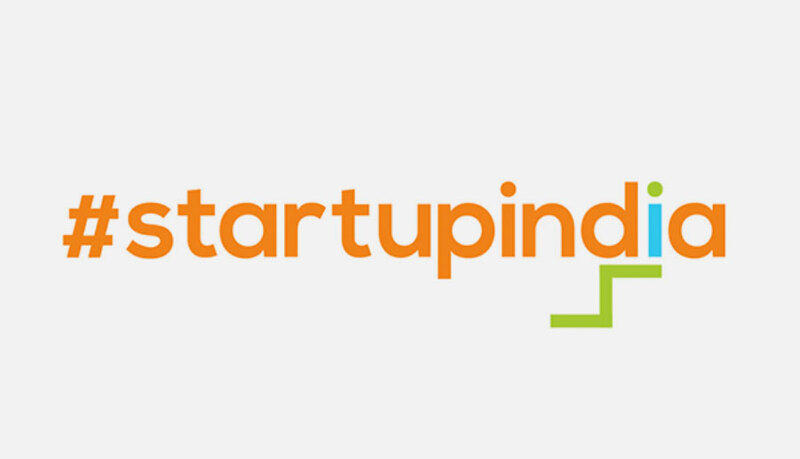 – The Startup incorporated/registered in India must be an entity as a Private Limited Company (under The Companies Act, 2013) or Limited Liability Partnership (under The Limited Liability Partnership Act, 2008) and which is incorporated on or after the 1st day of April, 2016 but before the 1st day of April, 2019. – The Startup needs to be working towards innovation, development or improvement of products or processes or services, or should be a scalable business model with a high potential of employment generation or wealth creation. – It should obtain a certificate of an eligible business from the Inter-Ministerial Board of Certification as constituted by Department of Industrial Policy and Promotion from time to time. Lastly, the DIPP reserves the right to revoke the recognition certificate and certificate of an eligible business for tax benefits if it finds that the Startup recognition is found to have been obtained without uploading the relevant documents or on the basis of false information. The Action plan might be too complex to understand. In case you have questions or need help to get onboard the Startup India plan, talk to our specialists at IntegraBooks.